If you ever need an explanation on a thirst trap. Be careful men, they are out there in full force! Thirst traps are fast ways women seduce/get attention from men. “Thirst” is defined by Urban Dictionary as “desire, greed, obsession,or lust for an object or person characterized by over eagerness or obsessiveness that is obvious to everyone around you.” Silent cries for attention. Provocative/Suggestive Screen names: suckmycockiness,nymphonicki throatzilla, orallygifted, tonyatootight, y’all get the idea. These birds clearly tell you what game their up to. Have you noticed that every time you turn around, there is a beautiful black queen rocking her natural hair or locs? No matter what the reason, be is spiritual, personal, mandatory or voluntary, many women are getting back to their origin, and rocking their natural hair. Lately, I have been feeling like creating something for me and my daughter to have that signifies our bond to each other. I didn’t know what I wanted it to be, but I knew I wanted it to be something simple and special for the both of us; something we would have with us everyday, and somehow feel a sense of connectedness to one another. Although she is still pretty young, she is well aware of when we are not together. I wanted it to represent our love for each other as mother and daughter, and be something like a tradition that we can carry with each other for the rest of our lives. I decided to create a bracelet for us. A very simple bracelet that we would wear everyday, no matter what. I also didn’t want it to be bought, but wanted to make it myself. It makes it more special in my opinion when something is handmade :). Confessions of a Loc’d Goddess: Dr. Bronner’s Magic Soap Review! I recently received a bar of Dr. Bronner’s castille soap (the lavendar scented one) from Target. I wanted to try Dr. Bronner’s on my hair, because I had heard that it was great at cleansing your hair and getting the dirt and grime out of your locs. I have used it twice so far, and I must say it works GREAT in my opinion! I really needed something that would deeply cleanse my locs, since I do not wash my hair weekly anymore. I also go to the gym regularly, and it became tedious to wash my hair every week, just for it to be sweaty again the next week. For that reason, I decided to space out my washes so I don’t have to go through the entire washing process every single week (I rinse my hair out now more frequently than washing it). This was my first time actually washing my hair with a bar of soap, as opposed to liquid soap and I actually liked washing with a bar rather than liquid. I felt like I could control the product more, and I didn’t have to use it as much as I would have to use liquid in order to get my whole head lathered up. When I washed my hair, I conducted a bit of an experiment, so that I could see exactly how much dirty came out of my hair when I washed. I filled the tub up so that as I was washing my hair I could see what came out of it. I must say what I saw at the end was disgusting, but good! Lol. I saw a lot of build up come out of my hair, that I wasn’t seeing when I was using the Shea Moisture Deep Cleansing Shampoo (that I wrote about in this post). 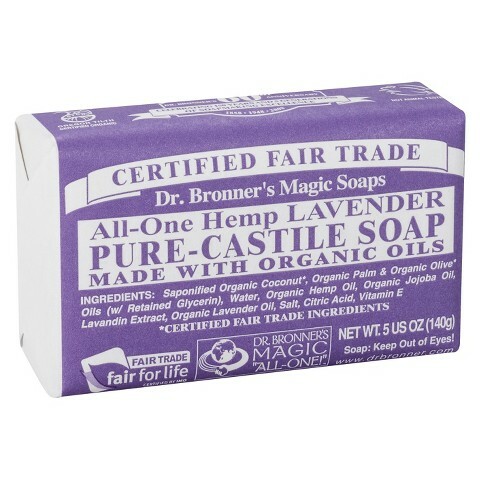 One of the things I have read about Dr. Bronner’s soap is that you will want to dilute the soap, as it is very heavy. I usually wash my hair in the shower, so that the water is already running on my hair and the bar of soap. Overall, I am pleased with the results of this product, and will be using it more often! Everyone has something that defines them. It’s usually in their introduction of themselves. It’s the one thing they take pride in, that thing they want you to know more than anything else they talk about. Most times, that is all they talk about. Other times, you see it shine through them naturally. I firmly believe that everyone has their own definition, or several, and it’s your duty to tell the world what it is. You could take pride in one thing or all things. The way you prioritize what defines you is up to you, and I feel it isn’t anyone’s place to judge your ranking. I have been mulling this question over in my head for a couple weeks now, and sadly, I haven’t come up with an answer. And I’m not sure why because I have quite a few things that define me already. I feel like I have this determination to be successful at something, but haven’t quite gotten to the point of God bringing out what that is. I feel like when He is ready for me to know, he will let it shine through me. I believe in that whole-heartedly, so is don’t try to push it. It is hard, because I feel like as I transition into my 30’s I want to be standing firmly in the positions I hold in my family, my work life and in the essence of who I am as a person. I pray to God that if I’m grasping for something unrealistic, then to let me know. If not, put me on the path where I can find it for myself and strive in it. I don’t want this to seem like I have neglected the other things that define me. But let’s put it this way: You’re a puzzle. Someone has managed to put all your pieces together to create who you are, but there’s one puzzle piece missing. What is that piece? How do they find it?